IBM’s personal computer division (before it was sold) won numerous government contracts across ASEAN. 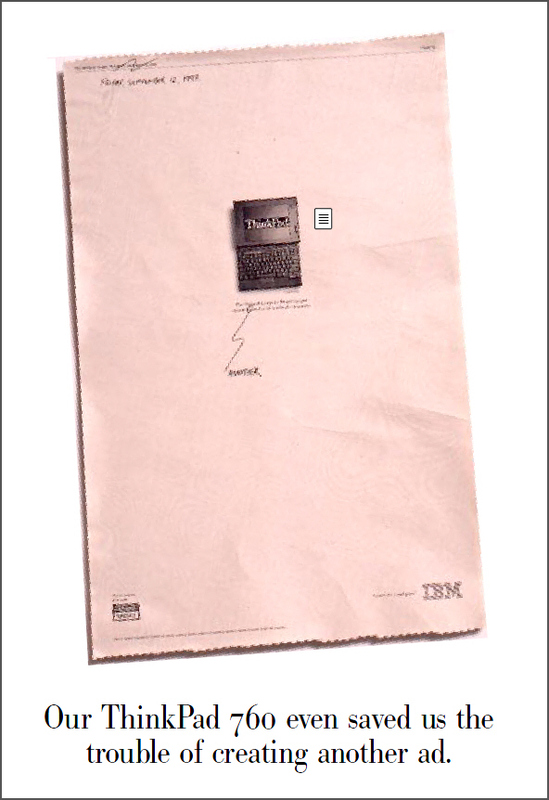 A softly-softly full-page newspaper ad announced a big one… and a year later, we ran the ad as a visual! Headline: The National Computer Board has just awarded a tender for notebook computers. Guess which notebook they chose? One year later, they won the same contract for another year’s procurement. To emphasise this repeat business, we ran a visual of the previous year’s ad… with “a” in the headline scribbled out and replaced with “another”. 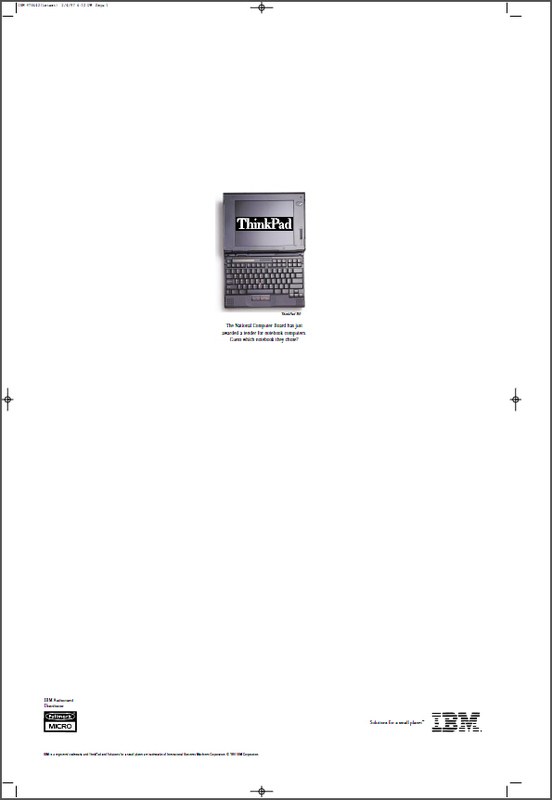 Headline: Our ThinkPad 760 even saved us the trouble of creating another ad.